Ett LINN Akurate Exakt DSM med Akurate Exaktbox, Majik 6100/d, Vit Majik 109 och stativ (black). 50% av Listpris! Allt i fin skick! 150,000 SEK (LIST 490,000 SEK). We will help sell Majik DS (black), 109 (white) with stands cables and Sekrit DSi (black) + Sneaky DS (Black) + Unik (black) for our customer, all good condition. If you are interested please email martin@peoplesandschmidt.com to negociate price. The products are currently available in the shop for dem. Payment to be made direct to our customer. USED PRICE (selling private) Analogue Preamp with MM & MC. We have more units of AVA Media Maestro-50 amplifiers (The best sound we have in our shop under 18,000 sek). List price 3495 Sek. Dem-ex 2300 Sek. Extra special price if you wish to combine with LINN speakers. Ring for details. LINN UNIDisk SC - Multi disk & preamp (including digital + analogue inputs). Good visual condition, no guarantee, Used selling private). Dropped price NOW 5500 Sek (list 48990 Sek). Issue with DVD playback. With 4K content now available across a range of services, customers can now get great sound to match the high resolution of their screens. From today every Klimax DSM, Klimax Exakt DSM, Akurate DSM, Akurate Exakt DSM and Majik DSM will ship with our new HDMI 2.0 board, offering full 4K support. This HDMI board will also support HDR for better dynamic colour range, CEC for interoperability, and ARC to return audio from the television to the DSM. I can pick a few points about the design. I don't like blue lights ... I'd hoped it would be smaller to fit more of my customers that have smaller rooms and apartments with neighbours. But actualythey look great, very tidy indeed. A good start and very interesting but how do they perform? 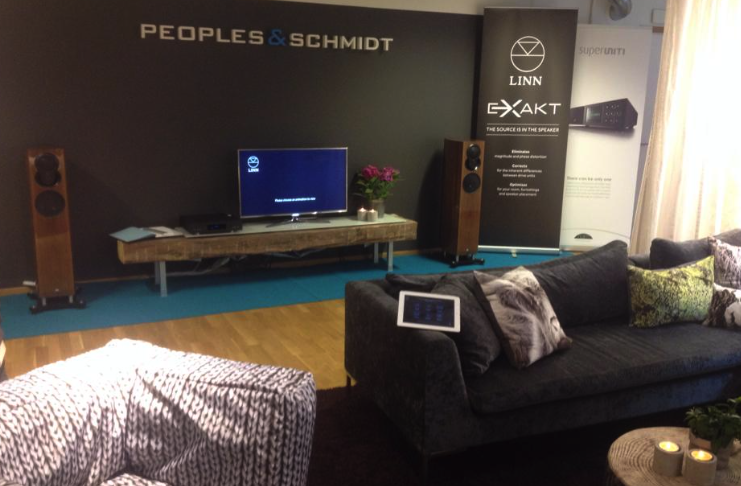 The obvious reference systems are Akurate 242 Aktiv with LINN Akurate amps or Klimax 350A's reference speakers.